Mouth-watering aromas. Produce fresh from the field. Amish specialties. Fresh meats, seafood, and poultry. Unique, hand-made pottery, jewelry and crafts from around the world. The hustle and bustle of a multitude of diverse people. 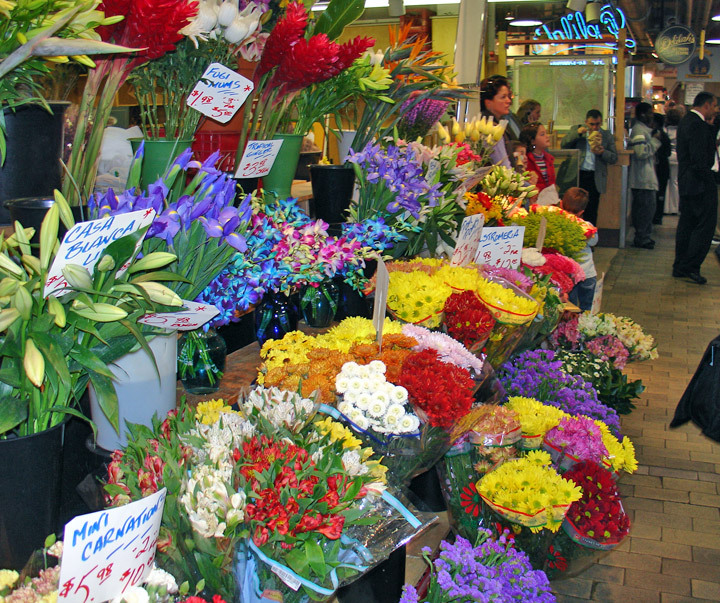 It's all here in Philadelphia's historic farmers market, Reading Terminal Market. An exhilarating selection of baked goods, meats, poultry, seafood, produce, flowers, ethnic foods, cookware and eclectic restaurants are peppered throughout the Market. Markets have been a part of Philadelphia's history since the city's development by William Penn in the late seventeenth century. When William Penn's managers established the town of Philadelphia, one of their first actions was to herd the ragtag crowd of farmers, fisherman, and huntsman, who were hawking their goods all over the bustling settlement, into an open area at the foot of what was known as High Street, along the Delaware River. Soon the so-called 'Jersey Market' (because most of the hucksters were from the neighboring state) began to expand westward in the middle of the thoroughfare that had been appropriately renamed Market Street. 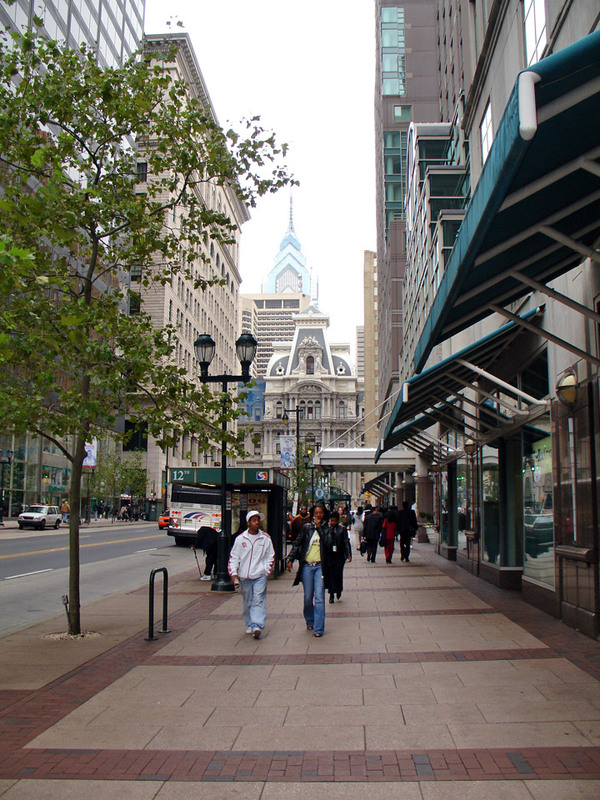 With the growth of Philadelphia came the expansion of public markets. By the middle of the nineteenth century, the string of market sheds had become six blocks long, making the easternmost mile of the city's main street a veritable babble of farmers and food purveyors on most days. Not long after, open air markets fell out of favor with the general public. They were considered health hazards and nuisances. They also created obstacles for the ever-increasing streetcar traffic. Bowing to complaints of nearby residents, city fathers decreed that the street markets would have to go, and in 1859 summarily dismantled them. It was then that two main markets sprang up at 12th and Market Streets. They were known as the Farmers' Market and the Franklin Market. It would be these two markets that would become the forerunners of what is now Reading Terminal Market. In the 1880s and 1890s great train terminals sprung up in many of the nation's large cities as the Industrial Revolution chugged on and corporate competition grew. One manifestation of this corporate rivalry was architectural braggadocio, a phenomenon in which giant railroads were building magnificent palaces for their passenger trains, their riders, and, most of all, their own corporate images. In 1889 the Reading Railroad announced it would build a state-of-the-art train shed in Philadelphia at 12th and Market Streets. The new train shed promised to be the biggest of them all, fronted by a splendid pink and white eight story office building. Fortunately, after much debate, it was decide that the markets currently occupying the same location on which the railroad proposed to build its new terminal would be purchased for one million dollars. The markets would be relocated within the new train shed beneath the elevated rail tracks. Reading's new train shed would be different from all others in that it had a gastronomic bazaar tucked away in its cellar. 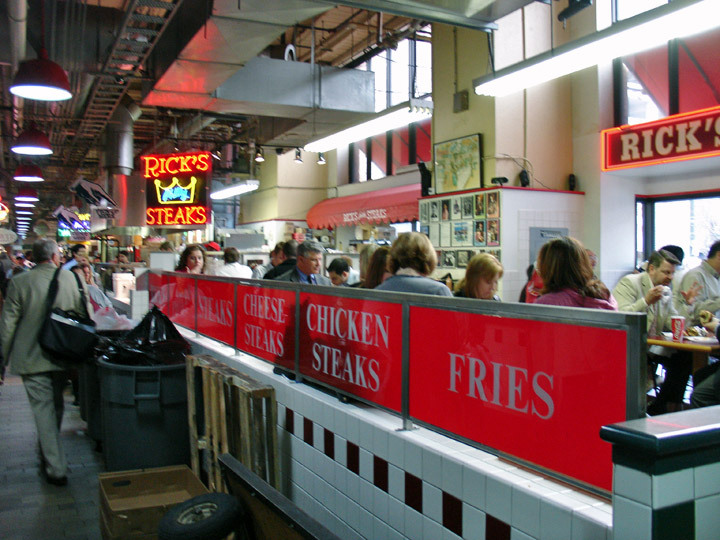 Reading Terminal Market was born. 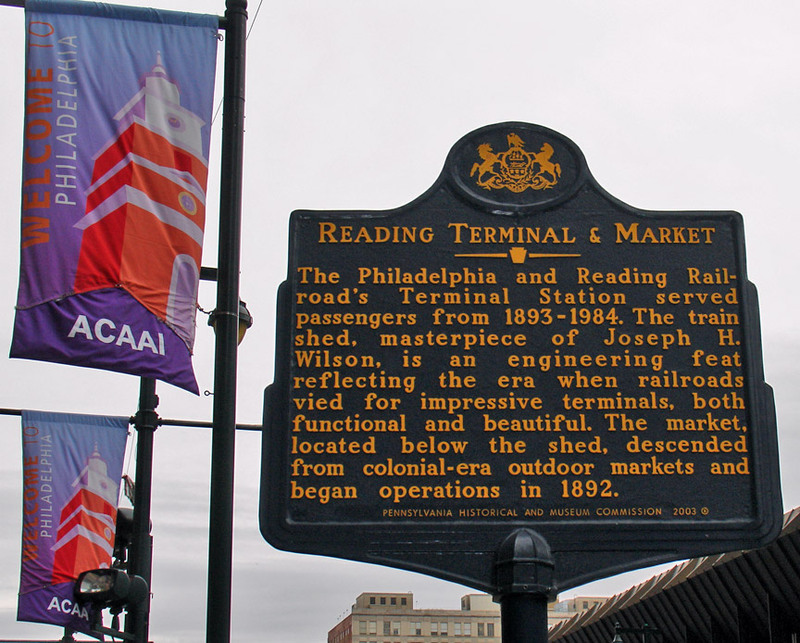 Reading Terminal Market opened its doors in 1892. The new Market was approximately 78,000 square feet and held nearly 800 spaces for merchants, each positioned in six foot stalls. The Market was laid out in a grid system similar to the streets of Philadelphia. There were twelve aisles and four avenues. It was the perfect location for easily receiving and shipping goods. 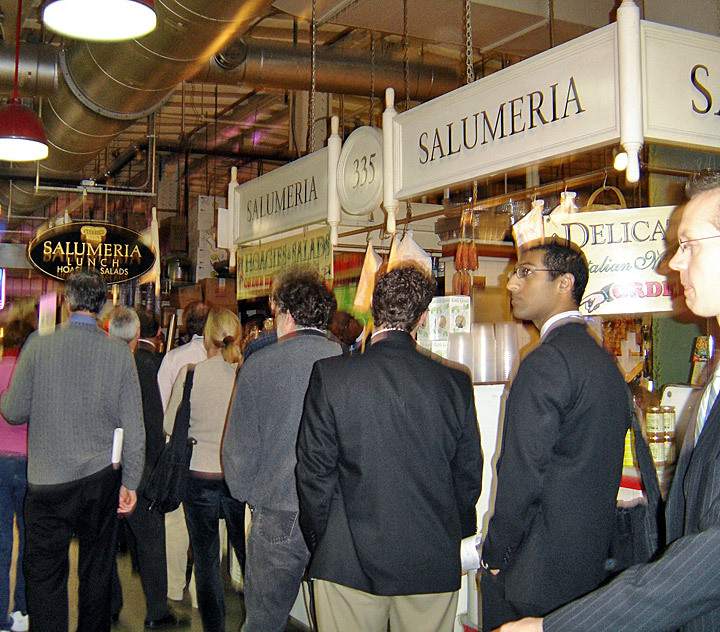 Soon after opening, the new state-of-the-art Reading Terminal Market would boast that its refrigeration facility was by far the biggest in Philadelphia with its half-million cubic feet of space and 52 separate rooms, each cooled to individual temperatures, 15 - 25 degrees for meat and poultry, 34 degrees for fruits and vegetables. The refrigeration system included an array of special pumps, compressors, and other equipment to handle the brine and ammonia used in its operation. When the cold-storage facility reached full stride a few years later, a visitor to its chilly climes would regularly find stored there 200,000 pounds of meat, 50,000 crates of eggs, thousands of cans of cream, 10,000 - 20,000 boxes of poultry, 10,000 barrels of berries and cherries, 25,000 barrels of apples, and 10,000 tons of ice. In later years, business flourished as suburban housewives began to take advantage of another aspect of the railroad's involvement in the Market - a free market basket service on suburban trains. Under the system, the homeowner could arrange for her grocery order to be filled in the Market and the basket placed upon a train bound for her town and held at the station until she picked it up. In November 1931 the Reading Terminal Market and the Merchants' Association jointly celebrated the Market's 40th anniversary with a week-long "Food and Home Progress Exposition," which drew tens of thousands of people from all over the region. 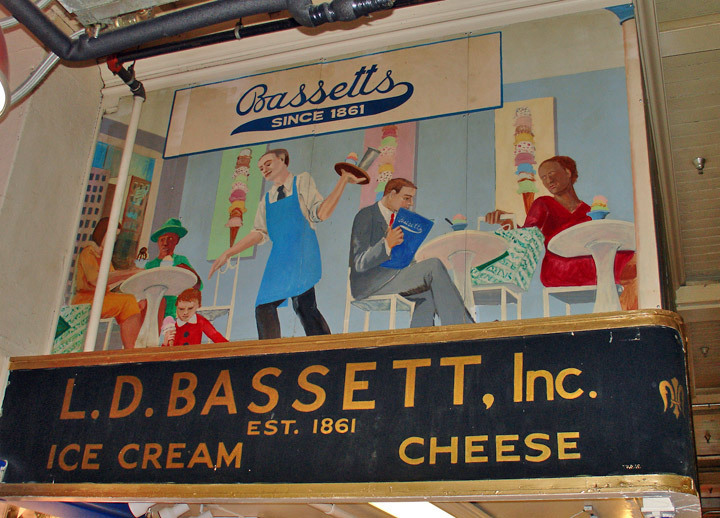 A proud Reading president, Agnew T. Dice, bragged that the railroad's unique food emporium had won nationwide fame, touting that it was the biggest market in Pennsylvania, and the largest under one roof in the country. In the 1960s the Reading fell under the same economic pall that afflicted most of the other railroads of the Northeast, and the Market got scant attention from the railroad. The great cold-storage facility at the Market was shut down and dismantled, forcing stand holders to provide their own walk-in refrigeration facilities. In 1985, the train shed above the Market fell silent when the city's commuter-rail system was rerouted to bypass the terminal. 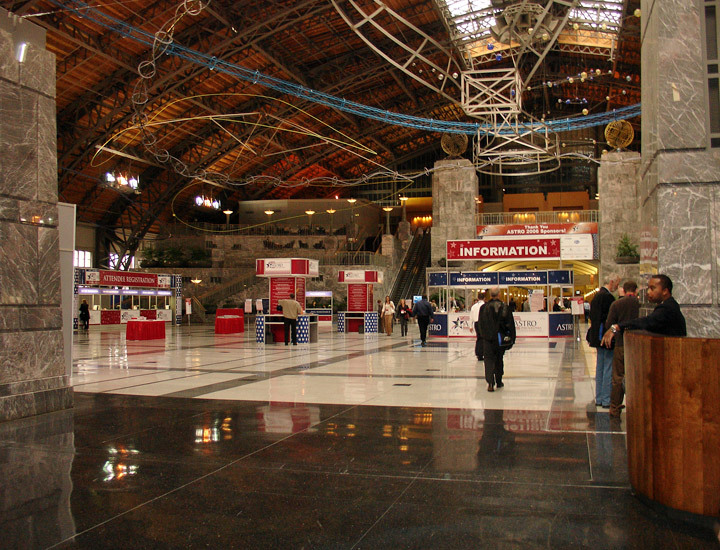 After several years of negotiations and false starts, the Pennsylvania Convention Center Authority was created to acquire and convert the Reading Terminal into a spectacular entranceway to the new convention center under construction. Philadelphians, with fire in their eyes, immediately demanded assurances that the venerable gustatory jewel under the silent tracks would be part of the rehabilitation plan for the building. It was agreed and construction to revitalize the Market began in the early 1990's. 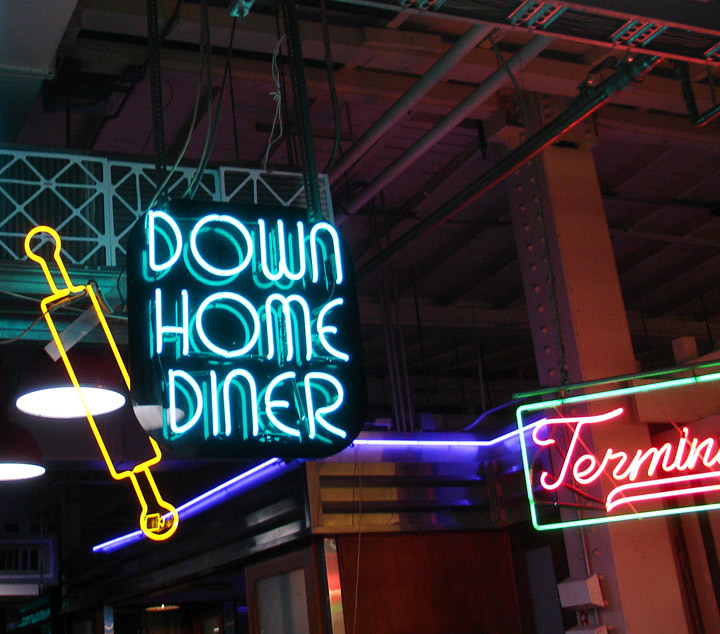 Today, Reading Terminal Market is once again the gastronomic bazaar that its original planners had envisioned. Many of the historic Market stands survived the reconstruction and are once again filled with local produce, fresh eggs, milk, meats, poultry, seafood, handmade crafts, jewelry, and clothing. The Market is home to more than 80 merchants, three of whom are descendants of the original stand holders from a century before. Today, the Market is 100 percent leased. On any given day, except Sunday, when the Market is closed, one can find an eclectic array of fresh baked Amish goods, produce direct from the field, unusual spices, free range meats and poultry, flowers, ethnic foods, and much more. 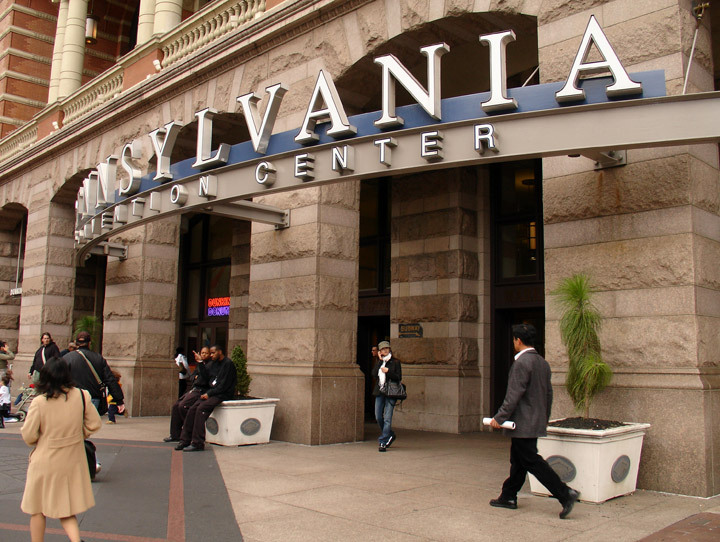 Eighty thousand Philadelphians and tourists pass through the Reading Terminal Market every week enjoying its exceptional products, history, and people. 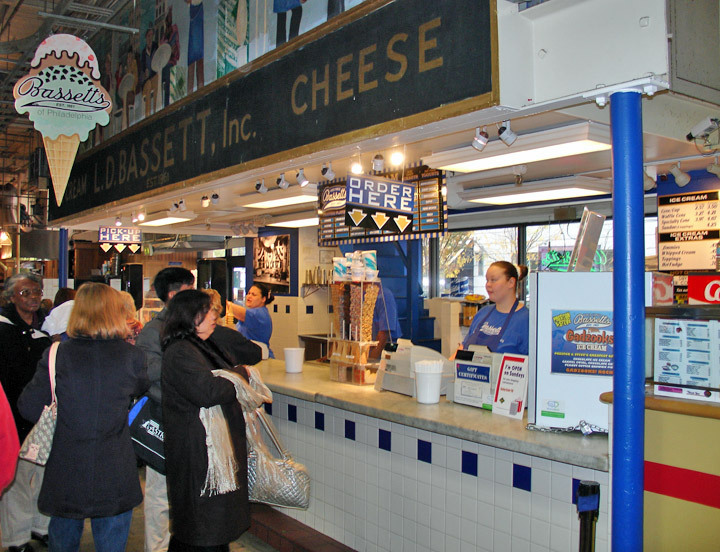 Today, the Reading Terminal Market, considered by many as the best farmers market in the U.S., blends together state-of-the-art systems technology without sacrificing its historical integrity. It’s not only a popular hometown attraction, but also the most popular Philadelphia tourist destination after the Liberty Bell and Independence Hall. More than 80 merchants offer patrons fresh produce, meats, fish, groceries, flowers, baked goods, crafts, books, clothing, as well as hard-to-find specialties and ethnic foods. Shopping and dining become a pleasure in this warm, inviting, and unique atmosphere. 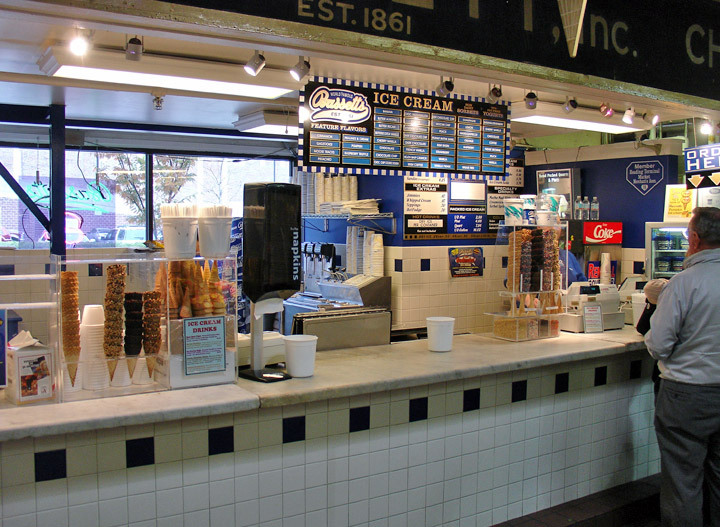 The Reading Terminal Market, like it did over a hundred years ago, is reminiscent of personal, neighborhood shopping, and still offers something for everyone. A trip to Philadelphia would not be complete without stopping here.